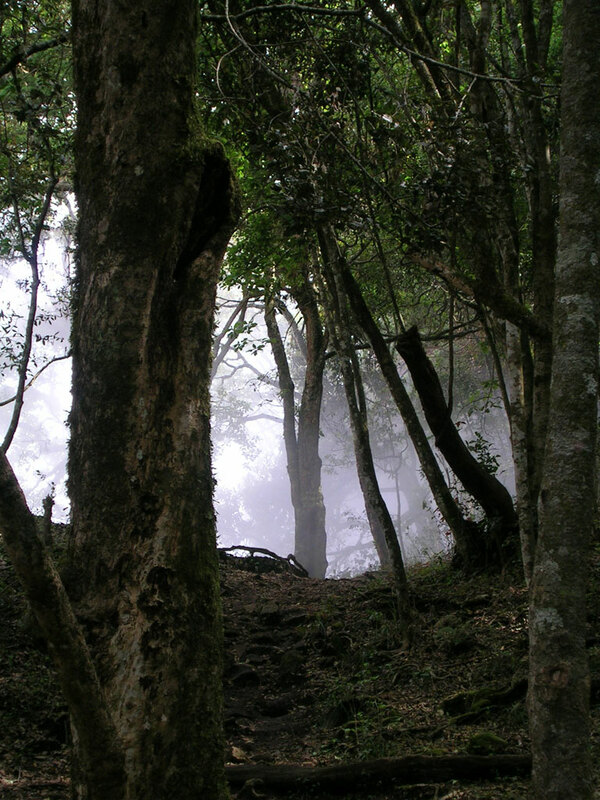 This pic was shot in Kodaikanal on my last trip there. This was at some tourist spot called Devil's Kitchen. The Devil's Kitchen is actually the name for some cave formation in the valley of this hill, and was off limits due the dangerous descent. This pic was shot around the top of the hill. It was a beautiful day and was all misty around. okay now...tats ma Kitchen ..well jokes apart its a beautiful picture. n sure makes ya desire to visit it .Keep up de good work n puhlese find me ma home too..! hi, it was a great spot in kodaikanal in addition to the suicide point!! you get a special feeling when you know that 12 people already died in the cave. it was shown on the sign board when i visited it in jan 2006, and also one tamil businessman who died first. this was when more people prefered visiting kodai over places such as kanyakumari, after the tsunami. now there are two-level fencing in that place to avoid the expensive and difficult task of getting the body of the diceased from the depths. now one cannot go near the cave, but only 10 to 15 meters away from it.